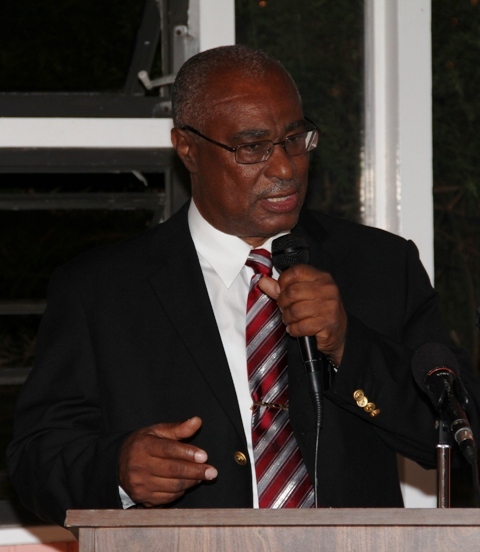 Premier Parry, whose remarks came at the recently held awards cocktail for the Nevis Tourism Authority, challenged Nevisians to capitalise on existing features and products. This, he said, would make the island more marketable. “I believe that if we speak about the product, the people are part of the product and I can say that Nevisians seem to be very friendly, very outreaching and we have to encourage them to do so by working with them in the schools and by working with them in the community and by training them to produce things that are truly and genuinely Nevisian,” he said. With plans toward the construction of the Aman Hotel and other developmental projects underway, the Tourism Minister said the aim was to enhance, not change, Nevis. “The Four Seasons, when it came, they were told they could not change what we have and they fit it in nicely. When the Aman comes they not only would not change but they are part of that kind of thinking and this is why they have been attracted to Nevis,” Mr. Parry said. “Sometimes you see organisations and groups actually cleaning the sides of the roads and they are really taking away a lot of rubbish and it is not a good sight so even though we are told how beautiful the island is and how clean it is, let us determine that we can do an even better job at making it attractive and environmentally friendly,” he said while reminding residents that the island’s dumpsite is located in the St. John’s/Long Point area. During his remarks, the tourism official recorded his appreciation to the NTA for its continued efforts toward the development of Nevis’ tourism product.